Deep drawing manufacturing is a technology that involves the stretching of sheet metal stock. The edges of the sheet metal are restrained by rings and the plug is deep drawn into a top die cavity to achieve the desired end shape. There are various shapes that can be made through deep drawing and stamping including cups, pans, cylinders, domes and hemispheres, as well as irregular shaped products. If required, deep drawing can be complemented with the spinning process to ensure the superior quality and most affordable method of production to match your production and cost needs. 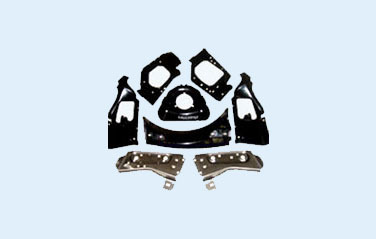 We, at Dynamic Industries, are focused on the production and supply of high quality deep draw parts for various automobile applications. We are specialized in suspension and body components for automobiles. We are equipped with latest automated design capabilities and equipment that facilitate us to arrive at product feasibility, tooling development and material planning. Our advanced triple action hydraulic presses are specifically designed for the production of deep drawn parts that require more than one operation in a single press cycle.